We devote this page to the numerous sets of data (charts) that trickle across my parts of the World Wide Web. I will on occasion add commentary but the commentary is not my major focus. Data often tells a powerful story, if one takes a moment and actually reviews the data and thinks even briefly about what the data illustrates. 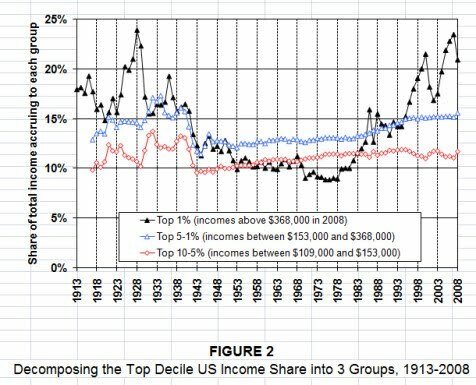 Reagans Dream for the TOP 1% is growing. No worries the GOP is here to help with your Medical coverage. When 45 goes to a Boeing plant an lauds Boeing as a sterling example of American Jobs...His skirts shows as being totally uninformed. Actually, Boeing reps and execs knew better, but dare not correct the NYC Carnival barker ion mid-stream. As Republicans seek to repeal ObamaCare. As president Obama prepares to leave the Oval Office, we offer a last look at his jobs record. Reminders of how Obama leaves the jobs area to his predecessor. Now watch tax cuts, repealing the ACA and various other Republican policies markedly change these 75 months of job growth. A New York Times writer has published a piece about underlying reasons white American (who voted) flocked to Trump. But exit poll data shows the US economy was not a major driver in the 2016 General elections. Immigration and ISIS carried far more voting weight. I also believe Trump's white nationalism certainly contributed. And much more via Midy Fisher-Writer Linked, here. OK, so I promised little commentary, but I did not promise to avoid quips! YOUR GOP At Work. And, despite all these people will VOTE GOP with every election! Did someone say executive abuse of power? 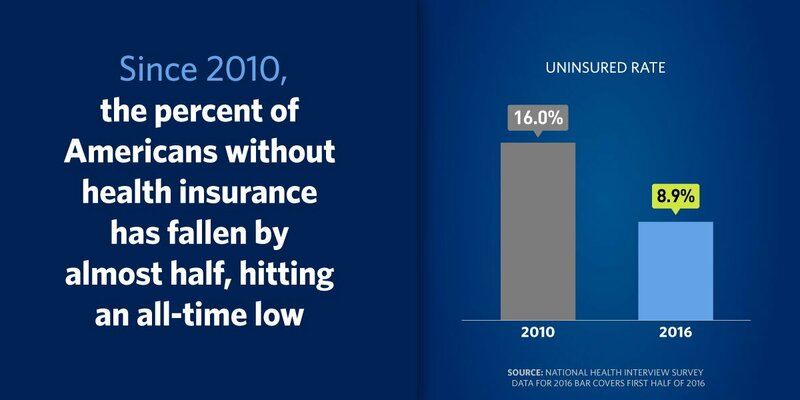 ObamaCare does not work? Of course,it does not work for the Kochs. 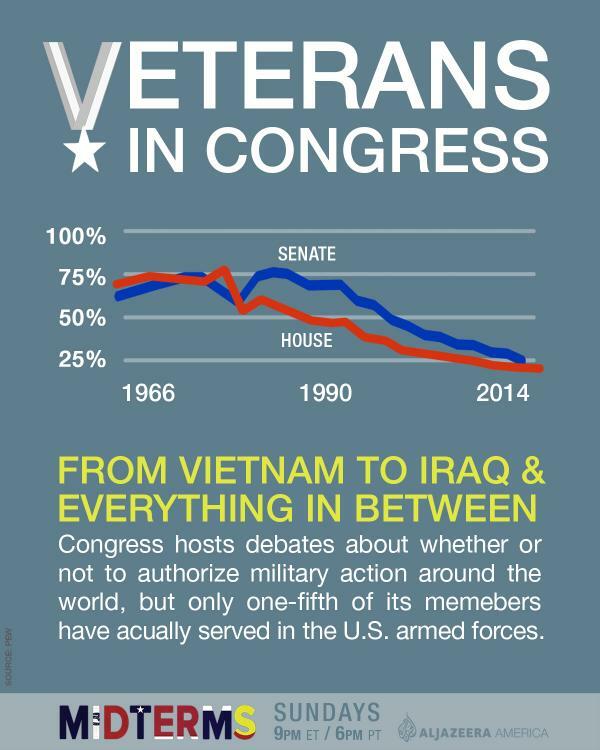 If you have any concern about US Veterans..take a look at this. No words necessary..... well, a few words are in order. And, the GOP refused Medicaid Expansion and fights against the ACA like a modern day Civil War battle! 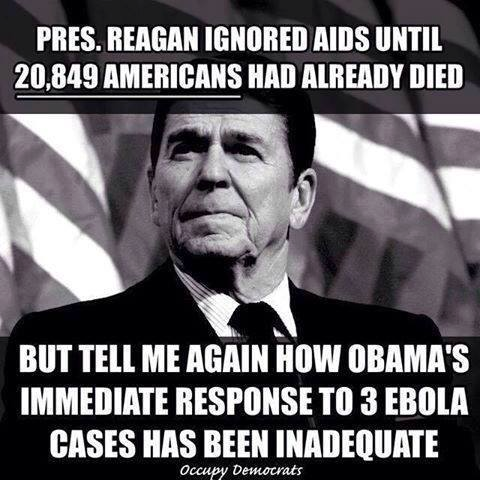 A Ronald Reagan reminder and an expose on US conservatism. It took his buddy Rock Hudson contracting AIDs to garner is pre-dementia attention. Clarity’s “What town matches my politics?” site lets you find those folks before you wander. It identifies the most liberal and most conservative places in all 50 states, using personalization tools that can help you select locations with populations that are more likely to align with your stances and beliefs. OK, so actually how much of the debt is Republican? Conservatives may want to close their eye, the answer is not pretty. Thanks to Ronald Reagan for the insemination and George W. Bush for the eventual birth of this set of data. And, I actually read how this nation might turn the US Senate back to the GOP. We have given them the SCOTUS, the House and now the Senate? Yee asks for Hell; Hell cometh (again). 51st vote March 13, 2014 @ 1.6 million per House vote = $81.6 million for you tea party House on frivolous votes. Unless they are garnering lucrative favor from the Kochs for these votes and waste of our tax dollars. "Doing the same thing over and over and expecting different results." Albert Einstein. This is due to policy and government acquiescence. Monthly job losses/gains in just the private sector since the start of the Great (Bush and GOP Trickle-down) Recession. 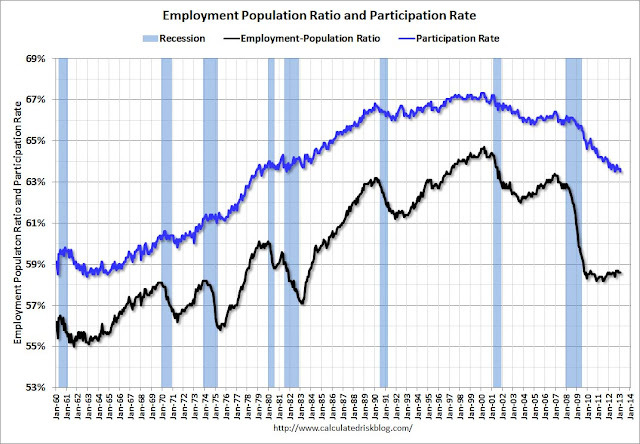 Justin Wolfers on two critical points regarding the May 2014 jobs report. While the following does not include Benghazi, the image certainly reflects on the GOP as political operatives vs serious concerned politicians. Why do people automatically assume the words "Food Stamps" reflects on minorities? And we certainly know that some in the GOP use the words as a "dog whistle." A sickening an unacceptable statistic! Now scroll down six charts! Out of Context but relevant since the GOP and Fox News wants to hang-on to Benghazi! On a day when the DIJA broke 15,000 (temporarily) and closed at a record level, plus the S & P 500 closed at a record level, how about some Obama Stimulus! Did Some Say Food Stamps? Stock Investors. Can You Hear Me now? And, think of all the middle income voters who do not realize how they are feeding the "HUNGER GAME"
An inforgrahic that tells it all. 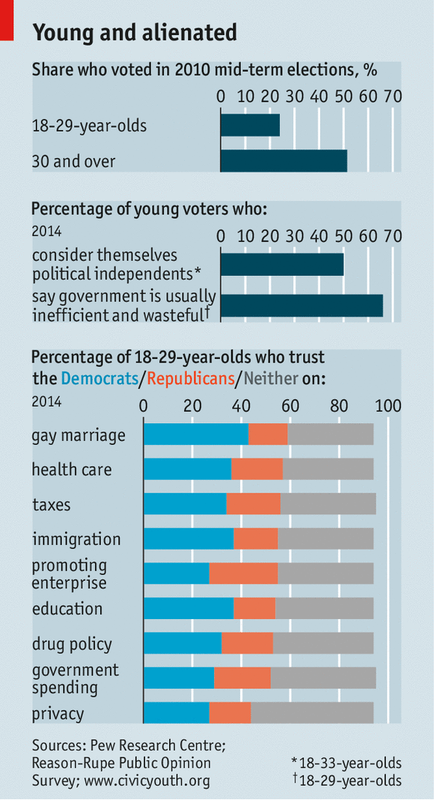 How do you expect the GOP to do things differently when they are so averse to doing things differently? Fifty years removed from that milestone, it's apparently easy to think that we're over racism. Here are 15 facts that prove that's not the case. 5) In the years before the financial crisis, people of color were much more likely to be targeted for subprime loans than their white counterparts, even when they had similar credit scores. The Center For Responsible Lending came to that conclusion after analyzing government-provided mortgage data for the year 2004, supplemented with information from a propriety subprime loan database. "For many types of loans, borrowers of color in our database were more than 30 percent more likely to receive a higher-rate loan than white borrowers, even after accounting for differences in risk," the authors of the report wrote. This wasn't a new phenomenon. HUD data from 1998 also showed that predominantly black neighborhoods at every income level had a much greater share of subprime refinance mortgages than predominantly white neighborhoods. 11) White Americans use drugs more than black Americans, but black people are arrested for drug possession more than three times as often as whites. This contributes to the fact that 1 in 3 black males born today can expect to go to prison in their lifetimes, based on current incarceration trends. 15) Employers are more likely to turn away job seekers if they have African-American-sounding names. Applicants with white-sounding names get one callback per 10 resumes sent while those with African-American-sounding names get one callback per 15 resumes, according to a 2003 National Bureau of Economic Research report. "Based on our estimates," the researchers wrote, "a White name yields as many more callbacks as an additional eight years of experience." "Facts are Pesky Things." Ronald Reagan. The Stimulus did not work, really? Oh Well!!!!! And who has whittled away at public sector jobs since the 2010 Election. Win at any cost! Well, what is up with the Red!!!!! As the old cowboys use dot say, "take a gander at dem numbers. Now, think bout who was in office during the years depicted." Then think we actually have Republicans slaying the Democrats have ruined the nation! And, they want us to allow them back into the Oval Office! Yes, Hate Crimes has worked its ugly head onto the Data Scroll. 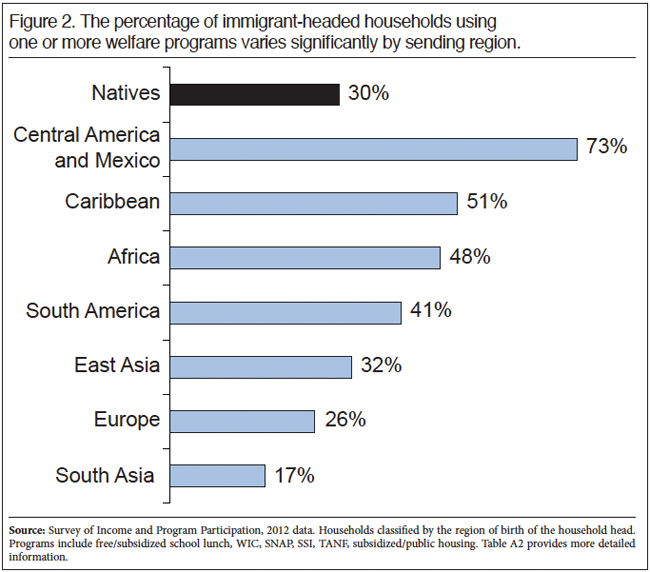 Now, what groups are not represented as victims in the chart below? I find it very telling that every group depicted below are frequent targets of Right-Wing demagogues (Including Pastors), and yes of course, media personalities. The Chart is missing one group: Women. The GOP history on the Auto Industry is as telling as their proclamations of being the party of the fiscal conservative. 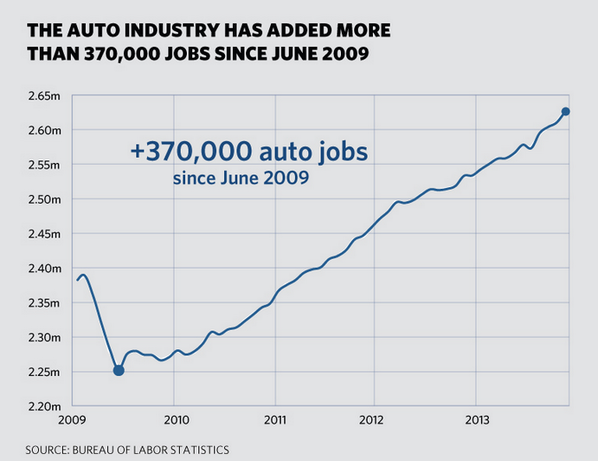 Come one and come all they said to let the auto industry "GO", no loans. The outcome was quite different and the auto industry has again claimed its right place as leading the world auto producers. And the Band Marches on! I actually heard Rubio (R) Florida, say the the President has made things worse. Really? Obama spending, yes of course, fighting off a past that was consuming us. 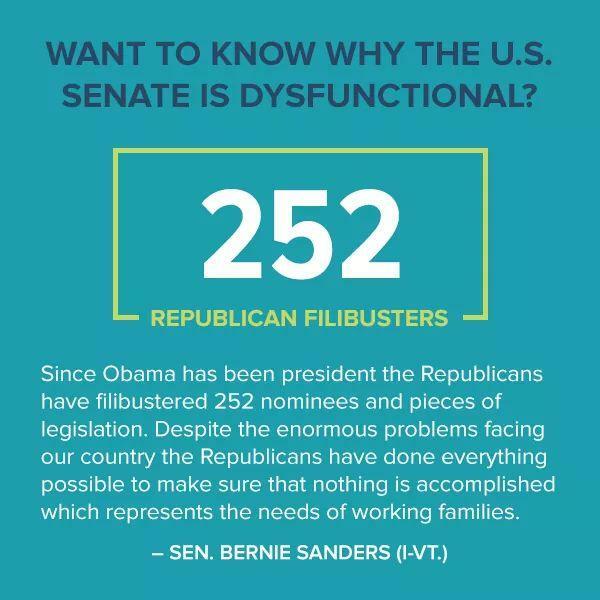 OK, so any wonder the GOP does not feel we can do much for them? 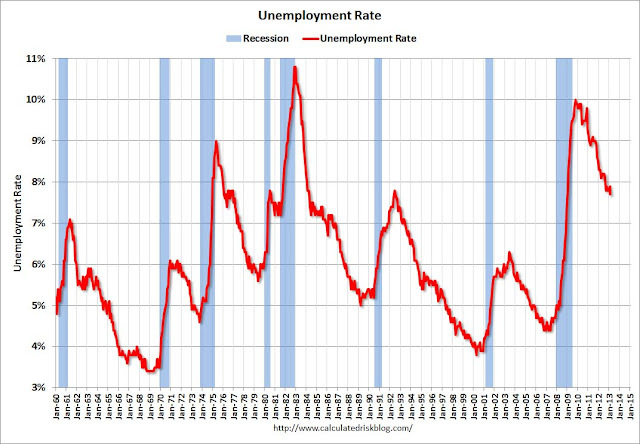 Look at what happens for the RED line Folks after recessions! 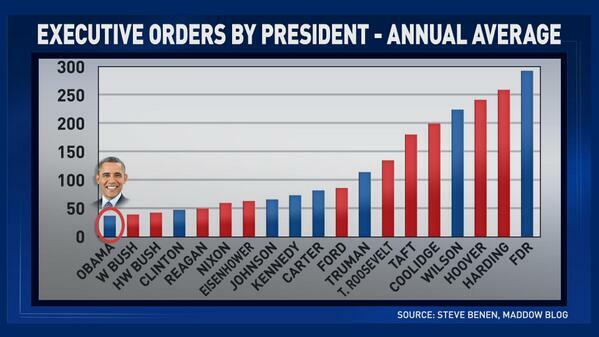 Now, look at the Blue line folks! And, those whom I feel the most for...look at their line! While The nation's Jobs private picture improves, the public jobs picture is dismal. 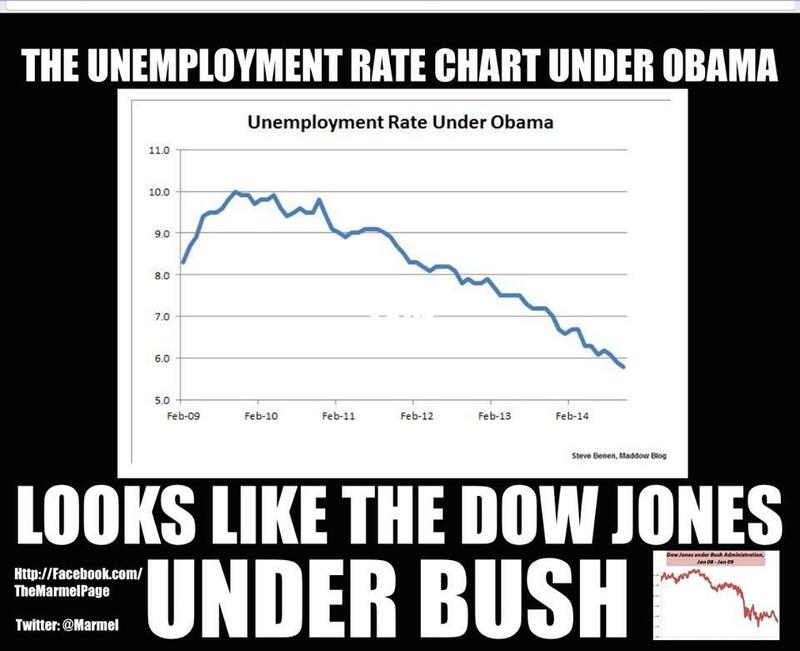 Stimulus worked, GOP agenda against public service jobs also worked. 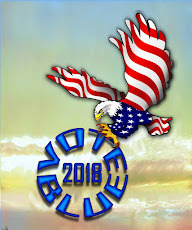 The poll found that the term progressive is viewed positively by a majority of all partisan groups — including 55 percent of Republicans, 68 percent of Independents, and 76 percent of Democrats. MediaMatters Busted Fox News AGAIN!!!!! OH Man, not good for any Administration! A Double Dip of Recession happens when employment is at it is now. Follow the pattern. I am bold enough to suggest that the GOP would relish a Double Dip. The pattern in the Times chart is really frighteningly clear. Even if you're not good at that kind of thing, you can probably fill in the part that comes next. As Leonhardt notesSenator Charles Schumer said today, it would good news for at least some of his opponents. 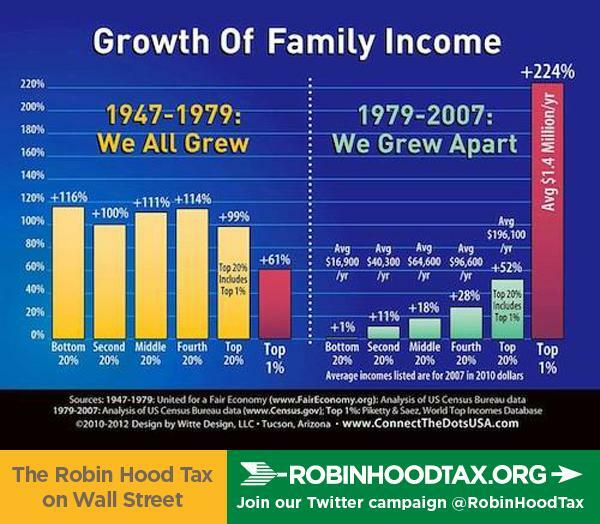 The dumbing down of the nation via maintaining 'hands-off' wealthy taxes continues! The light-blue chunks of deficit are mostly the Bush tax cuts. We're in an epic struggle. This is really, in my mind and many others, about the survival of the middle class. This is about when we look at issues like reducing our debt -- and that's certainly something we must do -- it's about demanding shared sacrifice, not just letting the people who have had the privilege of climbing the ladder of success stand by the wayside. Republican leaders have said they might support the payroll tax cut's extension if its cost is offset by equal spending cuts, a condition they did not apply for extending the Bush-era tax cuts on high incomes. Conservatives behind closed doors, "Why is there data?" Damn, Eric, John and Mitch, "How do we deal with this data"Rick, Mitt, Michelle or whomever.. ..
Notes, this chart includes Clinton's last budget year for comparison. The numbers in these two charts come from Budget of the United States Government: Historical Tables Fiscal Year 2012. They are just the amounts that the government spent and borrowed, period, Anyone can go look then up. People who claim that Obama "tripled the deficit" are either misled or are trying to mislead. 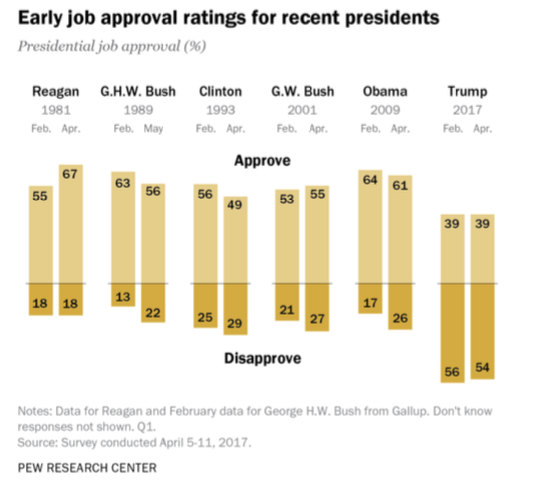 In this chart, the RED lines on the left side -- the ones that keep doing DOWN -- show what happened to jobs under the policies of Bush and the Republicans. 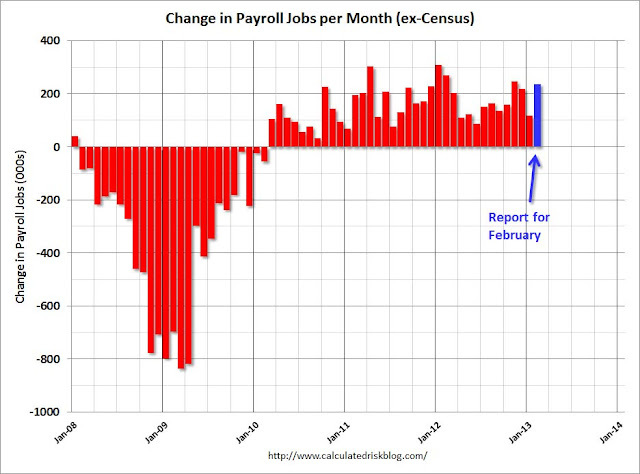 We were losing lots and lots of jobs every month, and it was getting worse and worse. 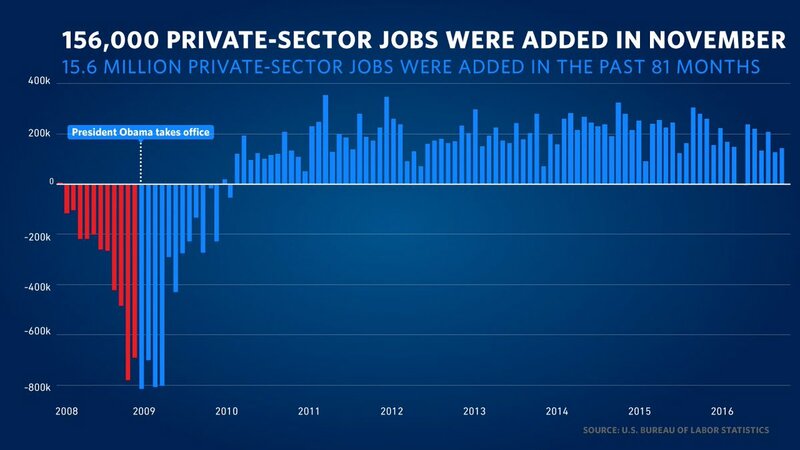 The BLUE lines -- the ones that just go UP -- show what happened to jobs when the stimulus was in effect. 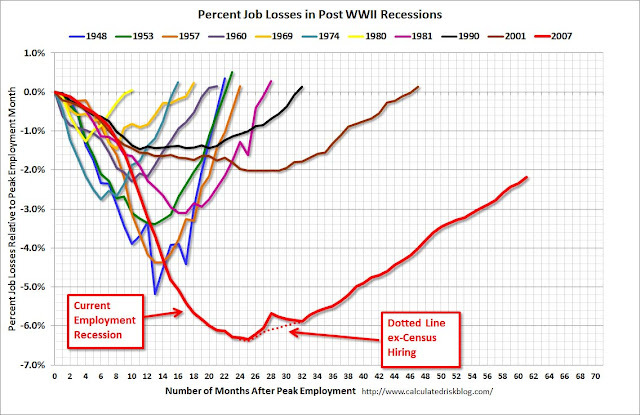 We stopped losing jobs and started gaining jobs, and it was getting better and better. The leveling off on the right side of the chart shows what happened as the stimulus started to wind down: job creation leveled off at too low a level. 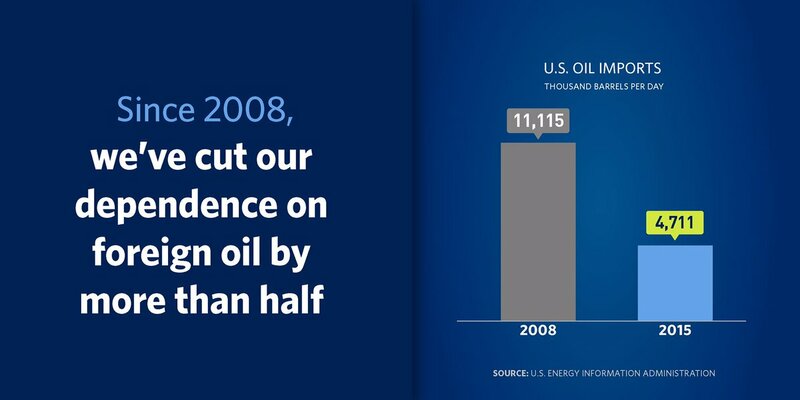 OH, man, Laura (Bush) look at this data. Did I do that? Oh, Boy we cannot shake this poop off of our shoes. It seems that Bush left a real mess. Well, who the hell do we owe? Are some calling President Obama an 'out of control' spender? Who is responsible for recent explosions of the National Debt? UUUUUM, Dorothy something is wrong, Obama spending vs Bush spending! 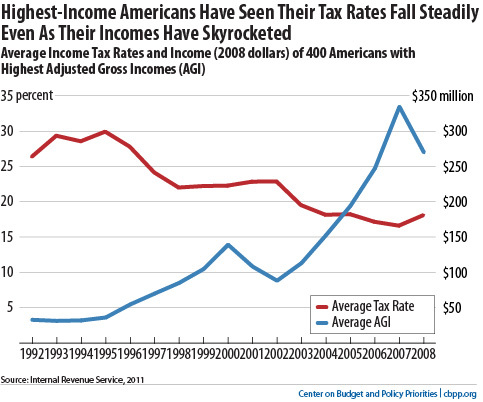 And, we made these tax cuts at the same time the chart above .....well, Dorothy I am confused! Oh, maybe because Fox News commentators are for some reason no asking about jobs. UUUUMMM, interesting and they are supposed to be journalist. I find it impossible to believe that 'jobs' does not cross their minds. For net jobs changes over the corresponding periods, see: Jobs created during U.S. presidential terms. 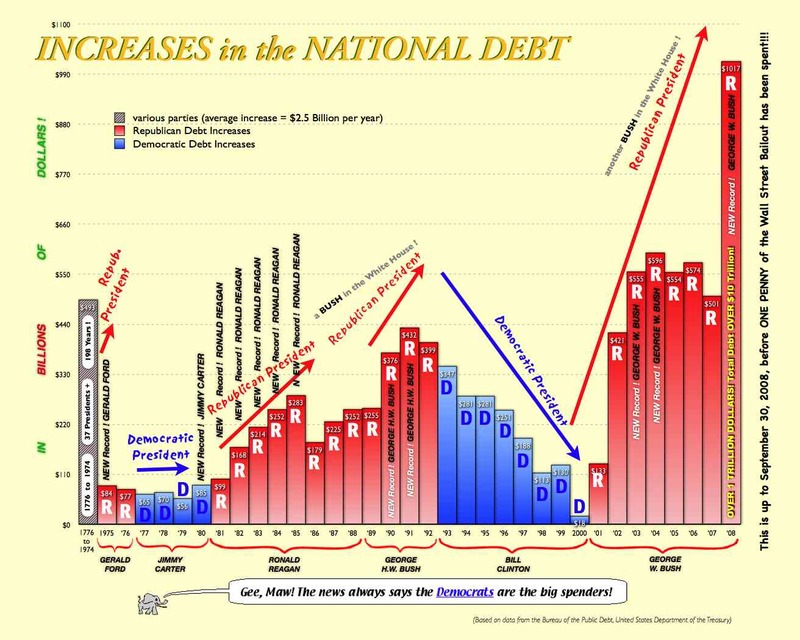 Time series of U.S. federal debt overlaid with partisan affiliation of the White House and the Congress. The table below shows the annual federal spending, gross federal debt, and gross domestic product for average presidential parties, specific presidential terms, and specific fiscal years. GOP Members to GOP Leadership, "Hope this data is not viewed by the public, not a pretty picture, guys!"